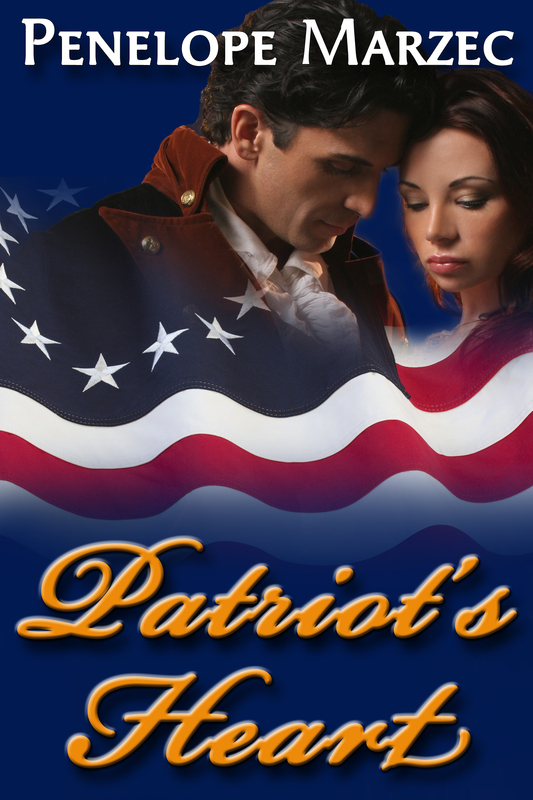 Patriot’s Heart is a gripping historical romance by author, Penelope Marzec. Agnes has taken over the blacksmith shop while her father has gone to fight with the Continental Army. Going into the barn the day after the Battle of Monmouth she finds a man, one of the British, seriously wounded. While he is the enemy her heart will not let her condemn him to death with the Patriots. She vows to help the handsome man regain his heath and as he recovers they tell everyone the lie that he is a cousin from England who came to visit. Edwin is not just a soldier. He is also the runaway son of the Duke of Dalfour. He was on a mission to deliver a message when he was shot by the enemy. He has no idea how he came to be in the barn or where his horse has gone. He goes along with Agnes’s lie to buy time to heal and perhaps spy on the colonists. As they encounter challenges wrought by the war, they both start to fall in love. the only problem is Edwin will leave when he is well enough and Agnes will once again be alone. When Loyalists capture Agnes’s sister, Edwin vows to bring her back by returning to the British encampment. He hopes they won’t hang him as a deserter. Agnes struggles with her feelings for the this man and his own personal struggle from independence from an overbearing father. Will war tear his budding relationship with Agnes apart or draw them together? Could Edwin give up a title and a life of relatives ease to take up the Patriot’s cause and a life of struggle and hardship as a price for independence? Could sworn enemies become more? This tightly woven novel is written with plenty of conflict and characters who surprised me. The hardships faced as the United States America first took its stand for independence was fraught with hardship and trial and yet love as well. Penelope does a wonderful job of drawing the reader into the story, into history, so we can experience what that struggle might have been like. It’s not all heavy war either, there’s some fun stuff thrown in as well that will make you smile.